Rapid Test Device (Whole Blood) is &gt;99.0% relative to blood smears. Rapid Test Device (Whole Blood) uses an antibody that is highly specific for Malaria P.f. Rapid Test Device (Whole Blood) is 99.7% relative to blood smears. , established in 1992, is a privately held corporation headquartered in Irwin dale, California. 4. after sending, we will track the products for you once every two days, until you get the products. If you have any questions about the problem, contact with us, we will offer the solve way for you. 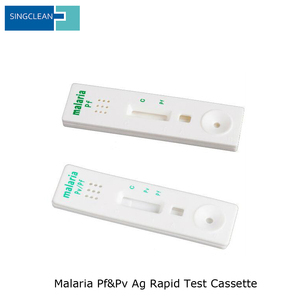 Malaria pf/pv test kit (colloidal gold) Rapid Malaria pf (HRP II) / pv (LDH) Antigen Test is for the rapid qualitative determination of Malaria P. falciparum specific histidine rich protein-2 (Pf HRP-2) and Malaria P. vivax specific lactate dehydrogenase (pvLDH) in blood as an aid in the diagnosis of Malaria infection. ), suitable for African region. 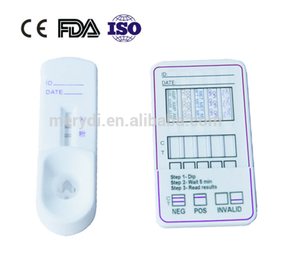 /Pan Rapid Test Cassette (Whole Blood) Analyte P. The International Express time is within 5-7 working days. 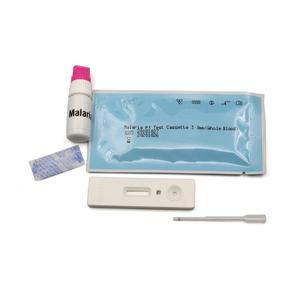 Malaria test kit For the rapid qualitative determination of malaria p. Pylori antigen test cassette Typhoid test cassette Packing & Delivery HIV Test Kit Cat. Code. , a branch of Henso Medical Group company, specializing in Research & development, production and supply of in-vitro diagnostic tests and laboratory consumables. Guangzhou Ballya Bio-Med Co., Ltd. Using the specimen after long-term storage of more than three days can cause non-specific reaction. Do not eat,drink or smoke in the arer where the specimens or kits are handled. The test device is stable through the expiration date printed on the sealed pouch. 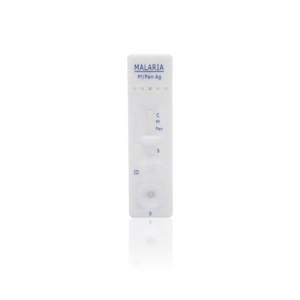 Alibaba.com offers 1,974 malaria test kit products. About 86% of these are pathological analysis equipments, 7% are blood testing equipments, and 1% are testing equipment. A wide variety of malaria test kit options are available to you, such as free samples, paid samples. There are 2,026 malaria test kit suppliers, mainly located in Asia. The top supplying countries are China (Mainland), Singapore, and India, which supply 88%, 9%, and 1% of malaria test kit respectively. Malaria test kit products are most popular in Western Europe, Africa, and Northern Europe. You can ensure product safety by selecting from certified suppliers, including 726 with ISO13485, 159 with ISO9001, and 147 with Other certification.